Stan Sapp is President and CEO of Distinction Hospitality, Inc.
After graduating from the University of North Carolina at Chapel Hill, Stan began his career as a CPA with Peat Marwick (KPMG) in Greensboro, N.C. One of Stan's first clients was Thomasville Furniture in 1983. Stan developed a love of furniture and the processes necessary to consistently deliver beautiful furniture that continues today. During the early to mid-90's Stan worked for a $600 million dollar furniture company known as LADD furniture which was based in High Point, N.C. Stan held senior positions ranging from finance to manufacturing to sales while at LADD and developed a broad understanding of the furniture industry. It was at LADD that Stan expanded his experience from residential furniture to include hospitality furniture. While Stan was overseeing manufacturing at LADD's American Drew plants he was responsible for producing a significant amount of hospitality furniture for LADD's American of Martinsville division for customers such as Marriott, Wyndham, and Caesars Palace. Stan left LADD to become President of Aspen Furniture in Phoenix, Arizona. Aspen enjoyed significant growth and needed capacity and capabilities beyond the Phoenix plant. This lead Stan to Asia where he spent hundreds of days establishing relationships and building an effective global supply team that continues to support Aspen today. Many of the Asia relationships that Stan established continue to support him today. Stan left Aspen to join Kimball International during 2002 initially leading their Kimball Home division, then taking over leadership of Kimball Hospitality in 2005. As President, Stan lead the resurgence of Kimball Hospitality by helping the team focus on customer relationships, disciplined global execution, effective communication, and through leveraging his many global furniture industry relationships. After honoring his 1 year non-compete with Kimball, Stan returned to the hospitality furnishings industry and started Distinction Hospitality with support from Asian and venture capital friends. Quinn Decker is Vice President of Sales at Distinction Hospitality, Inc.
After graduating from Indiana State University in 1999, Quinn started his career at Kimball International. In what would be an eleven year career with Kimball, Quinn gained promotion through a number of positions across the various divisions of the company. His first senior appointment was to being Supply Chain Manager for Kimball Home, where he met and worked with Stan Sapp. In this capacity he specialized in managing both Domestic and Asian suppliers for all of the product lines. From this role he was promoted to Director of Finished Goods at Kimball Hospitality, managing outside manufacturers in US and Mexico. In 2005, Quinn became Director of Sales for Kimball Hospitality managing strategic accounts and brand programs. By focusing on key relationships, constant service, and executing several new brand programs, Quinn launched Kimball to be the biggest provider for several brands and strategic relationships. Quinn left Kimball in 2010 to become President of Samuel Lawrence Hospitality, where he worked with Rick Dortch and Peggy Stone. In their time together, they grew SLH significantly, once again with key relationships, execution of product, and great customer service. On leaving SLH in 2013, he served until recently as VP of Sales for Bryan Ashley. Quinn brings a great track record of success together with a wealth of experience and enthusiasm to Distinction Hospitality. Deaderia Morris-Bowman is Director of Design & Marketing for Distinction Hospitality, Inc.
After graduating from Spelman College, Deaderia began her career working at the Smithsonian Institution in Washington, DC. Deaderia later completed a certificate in business at Georgetown University. Deaderia joined Marriott International in 1987 and spent almost 20 years as part of the Marriott Team. During her time at Marriott, as Senior Designer and Interior Design Manager, Deaderia worked on design renovations covering a broad range of hotel brands including Ritz-Carlton, JW Marriott, Marriott Marquis, Renaissance, and Marriott Hotel & Resorts. Deaderia worked with various customers including Host Hotels. Deaderia worked on renovations in the United States as well as Europe and South America. Deaderia left Marriott to join Kimball Hospitality as Director of Design, where she spent 13 years engaged in a broad range of projects, and helped enhance the brand image and overall marketing for the company. Deaderia has a true passion for the Hospitality Industry and is NCIDQ-certified, a member of ASID, and an active member of NEWH. Rick Dortch is the Director of Product Development for Distinction Hospitality, Inc.
With a degree in Furniture Design that he earned at Kendall School of Design in Grand Rapids, Michigan, Rick began his career at Lane Furniture Inc in Altavista, Virginia in 1979. After a successful 3 years at Lane that included winning a Daphne design award for Lane, Rick decided to leave the residential design field. In 1982 Rick Embarked on a 25 year career designing furniture for the Hospitality industry at American of Martinsville. Designing their Inline Case good and Seating programs for Hospitality, Government/ University, and Healthcare market places. This period saw the transformation of the market place to a custom design dominated environment. Rick developed the Design Project Management systems at AOM in the early 1990's that allowed AOM to grow rapidly in this new fast changing market. The last 15 years Rick was Director then VP of Design. During this period American had its most dominate position in the Hospitality market place. In 2007 Rick along with Peggy Stone and Roy Mitchell started SLH for Home Meridian International. After 6 years at SLH in late 2013 Rick decided to pursue other interests and left the Hospitality Design business. This did not last very long as Stan Sapp President of the brand new Distinction Hospitality convinced him to join in this new and exciting venture as Director of Product Development. Jim Dobbins is the Director of Sales with Distinction Hospitality, Inc.
Jim's career in residential and hospitality furnishings spans 40 plus years. After graduating from Appalachian State University, Boone, NC with a BSBA he was recruited by Broyhill Furniture Indus Lenoir, NC. He worked in all aspects of sales, and sales management supervising 35 to 50 sales representatives. He developed meaningful working relationships with many of the larger independent and chain accounts throughout the US and CN. Jim joined LADD furniture as Vice President of Sales working with Clayton Marcus Upholstery and American Drew Furniture where he met Stan Sapp and begin a personal and working relationship that continues today. His duties with the LADD companies included sales management, product development, and advertising, supervising product photography, color catalogs, prices lists and other related wholesale and retail sales aids. His career over the next twenty years included service as Vice President of Sales with Aspen Furniture Company. Director of Sales with Kimball Home and most recently Kimball Hospitality. Joining Distinction Hospitality and working with a staff of professional veterans helping to build a new company while renewing relationships with developing new ones is exciting beyond words. Peggy Stone is Retired & Part Time Service Technician Manager with Distinction Hospitality, Inc.
Peggy blasted in on the hospitality scene in the summer of '74 and her first job was at the premier US domestic hospitality casegoods manufacturer American of Martinsvillle where she started out as a clerk in the Contract Division handling and processing orders along with assisting in project management. Her talent and natural expertise in management of domestic and international projects were soon realized. For nearly 25 years she was a key member of the team and as Administrative Assistant to the President was instrumental in both assisting the Sales Force and working with the team to ensure that customers came back for more! 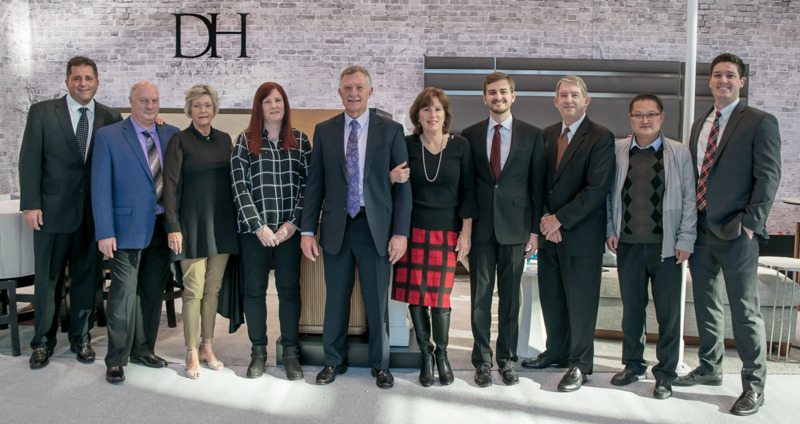 In the Autumn of 2007, Peggy started Samuel Lawrence Hospitality, a new division for Home Meridian International specializing in Hospitality furniture along with Rick Dortch and Roy Mitchell. Here, as Manager of Sales Operations, Peggy was a driving factor in building and managing a sales force that propelled Samuel Lawrence to the forefront of the hospitality sector. With 20+ years of experience (who's counting!) across all areas of the business at the highest level and with international supply chain expertize, Peggy brings an enormous amount to the team at Distinction Hospitality.